L2 Interactive is proud to announce the launch of Indianapolis Symphony Orchestra (ISO)’s fully Tessitura integrated website. Our collaboration with ISO allowed us to leverage our proven Tessitura tool-kit to make way for innovative customization, and the debut of new features to enhance the user experience. 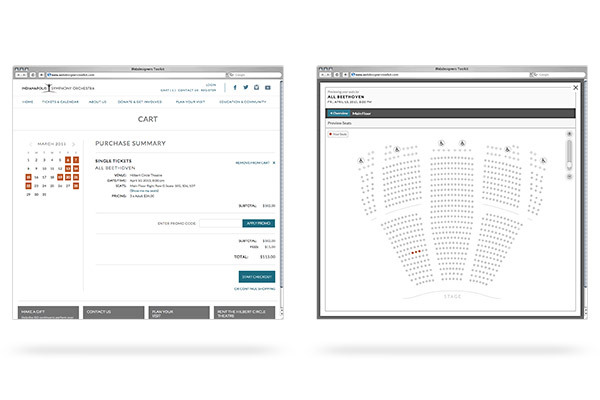 This new customized feature allows the patron an in-venue view of the seats they’ve selected from inside their cart. As long as SYOS is enabled for the performance, patrons can add (through SYOS or “Best Available”), choose, and compare multiple seat selections without ever having to leave the purchase path. This gives the patron assurance of their seat selection, and helps to encourage the completion of a purchase once an item has been added to the cart. ISO wanted to give patrons both a simple, visible, and direct access points to support their organization. To facilitate this, we developed a donation widget that adds a specified amount to the cart from any page on the website. By setting-up the donation as Direct to Fund in Tessitura, supporters are not required to fill out any web forms that might get in the way of their donation. This also alleviates most manual back-end processing for the organization. 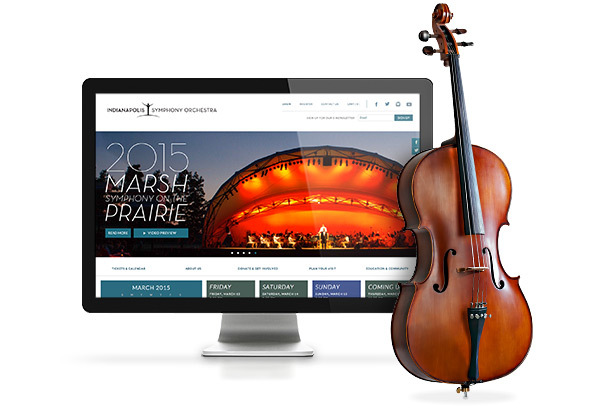 For their more traditional donors, we also leveraged Tessitura’s On Account Donation. In order to facilitate these and other custom features, we blended the “What’s New?” with the “Tried-and-True,” or what we call Foundation +. Foundation + provides proven, customizable core features that every organization needs on their site, such as single ticket purchase, package sales, promo code and gift certificate redemption, etc. 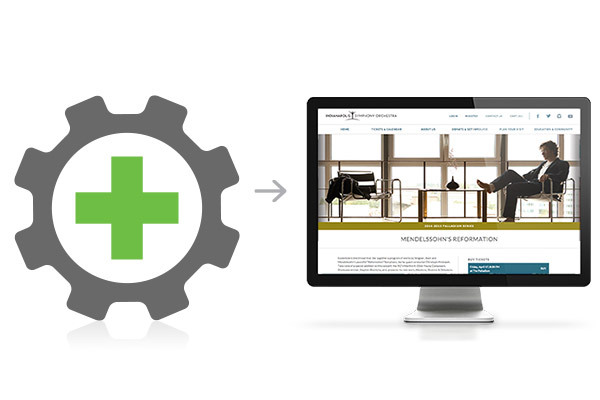 This provides us with a strong base so that we can leverage our time and energy in what makes a website unique.